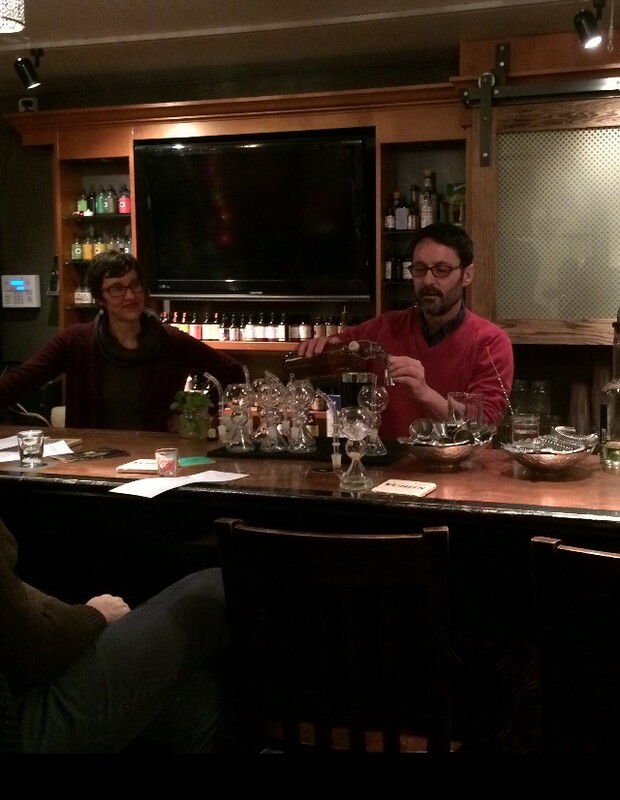 The Portland Spirits Society met at Vena's Fizz House in Portland last night to learn about the Tree Spirits of Maine's absinthe, the only absinthe produced in Maine. A group of 35 or so women crowded into the cozy bar at Vena's to listen to Karen Heck describe how she and her husband Bruce make absinthe, among other spirits and wine, at their facility in Oakland (near Waterville). First, we tried straight absinthe - and my it's strong! At 130 proof, it tastes like a liquorice fire in your mouth. Hence the ritual of diluting the stuff with some sweetened water (although Karen pointed out that the sugar was used to combat the bitterness and isn't as necessary in today's craft versions). 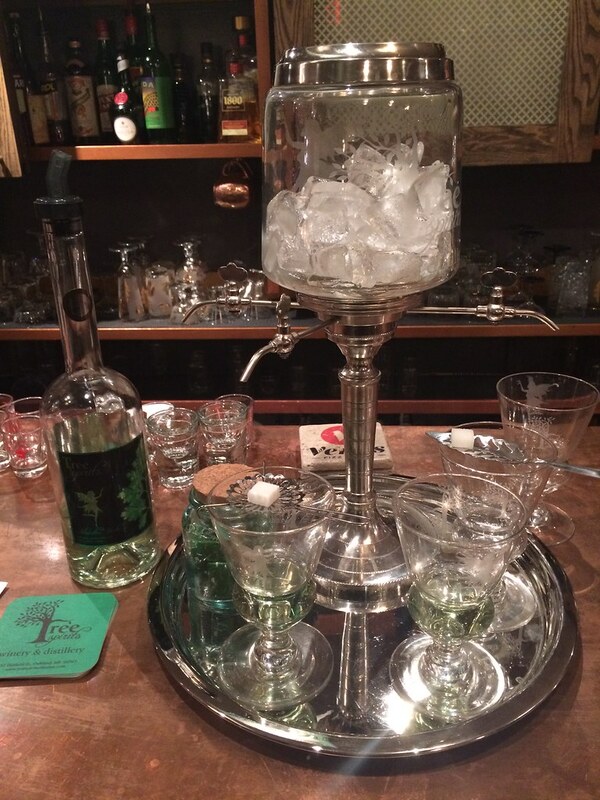 The traditional method of serving absinthe involves a special set up: a fountain, an absinthe spoon, and a glass with a 1 oz. reservoir for the absinthe. When mixed with water, the absinthe turns cloudy and opalescent, an effect called "the louche." Tree Spirits makes their absinthe by first distilling their apple spirit to a high-proof neutral spirit, then infusing it with organic herbs: wormwood, anise, hyssop, lemon balm (well, not exactly like that, but that's the gist of it for non-distilling nerds). Steve, the owner Vena's Fizz House, made four cocktails using Tree Spirits' absinthe - some where the absinthe was front and center, like the Sipper (just absinthe, sugar, and water) and others more complex, like the Billionaire Cocktail (Wiggley Bridge Bourbon, lemon, simple syrup, absinthe, grenadine, bitters) that I enjoyed. 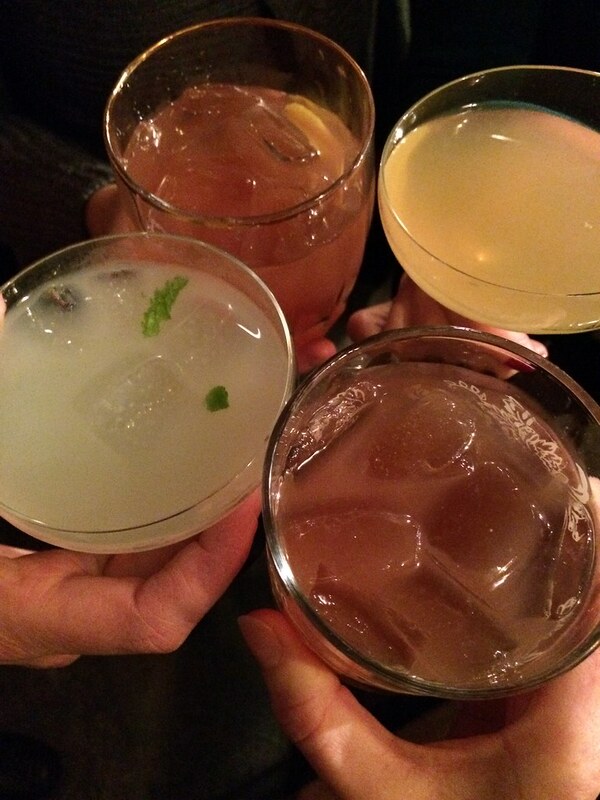 A Corpse Reviver and a Sazerac rounded out the drink choices. 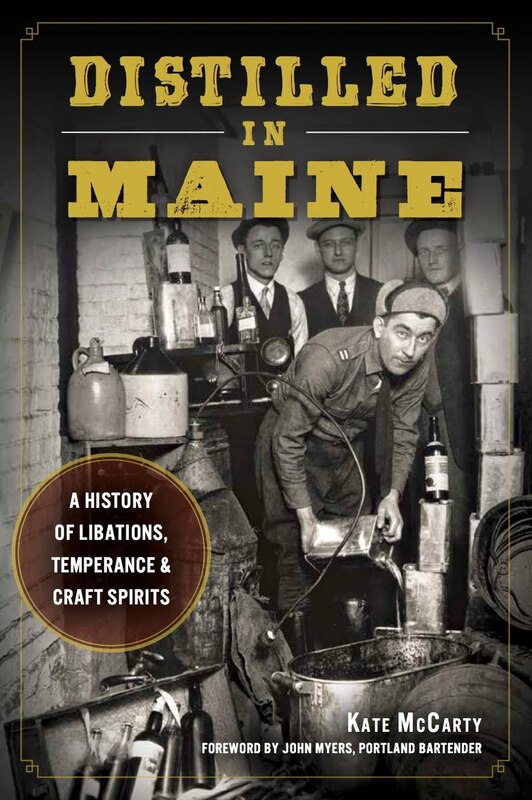 If you're curious about Maine's only local absinthe, stop into Vena's, where the bartenders can make you a tasty drink using the spirit of the Green Fairy. To be notified about the next Portland Spirits Society event, a group of women who like learning about booze, sign up for our email newsletter and like us on facebook.